Contemporary, Good Read, MIRA, Re-reads!, Review, Toe Curler!! 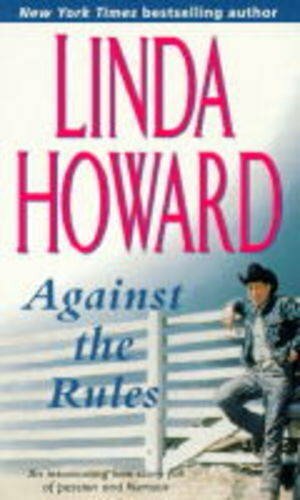 Linda Howard is absolutely one of the best romance writers out there. I stumbled upon her books quite by chance and nearly devoured up all her work in a short period of time. Maybe this is the reason why that I forgot that I had once read this book, and it was only nearly at the end of the book that I realized that I had actually read this book during my initial Linda Howard crazed phase. Linda Howard writes romances with strong alpha heroes that never fails to entice us women readers. They are strong, stubborn to a fault and oh yes when they do fall, they fall that much harder which makes us women wring our hands and go into a major sighing session. This book is no exception to this rule and it wouldn’t be a crime to say that Rule Jackson is one delicious hero. Rule and Cathryn were neighbors when they were growing up. Back then Rule had been a happy boy, although intense in nature. However everything changed when Rule was enlisted to go fight in the Vietnam war. Upon his return, Rule had changed into someone entirely different. Gone was the happy carefree young man, instead a sullen, dangerously silent man remained. Getting into endless trouble over time and going on day long drinking binges finally took its toll and at Rule’s weakest moment, Cathryn’s father Ward took him in and gave him a second chance at living. Given the vast age difference between Cathryn and Rule, it was to Rule that her father left the management of the ranch upon his sudden death. Cathryn has never felt comfortable at all around Rule and things finally come to their explosive conclusion when Cathryn loses her virginity to Rule in succumbing to the combustive passion they find in each other. Seventeen then, Cathryn scared out of her wits at what she has discovered flees to pursue her higher studies and then marries David. Now twenty five years of age, Cathryn once again returns home a widow, and Rule stakes his claim on Cathryn from the moment she steps off the plane. Though Cathryn cannot deny her all consuming love for Rule, she cannot be sure whether Rule feels the same way about her. Of course it doesn’t help that Cathryn’s half sister Richy thinks she is in love with Rule as well and tries to poison the fragile bond between Cathryn and Rule with malicious innuendo at every turn. A good read, romance as it should be!